In my best attempts of staying true to my posts, here is where I reveal there is no big deal in this post. There is no big deal in the recipe nor the method used, but I had to share this with you. If you have been like me, living under a rock for a long part of your life and settling for just the plain double chocolate chip cupcakes then you have been missing out on something huge. This is the huge deal. Have you tried double chocolate chip cupcakes with that crumble? I know there are some of us who apart from worrying about calories in a creamy cupcake frosting we also don’t want things with a overpowering sweetness. I’m definitely one of them. So in my purpose of giving new spins to old things,which I love doing by the way, I gave a crumble touch to my double chocolate chip cupcakes. And boom! No frosting calories. No extra sweetness. The same double chocolate chip taste, rich and chocolaty but with that crumble crunch. 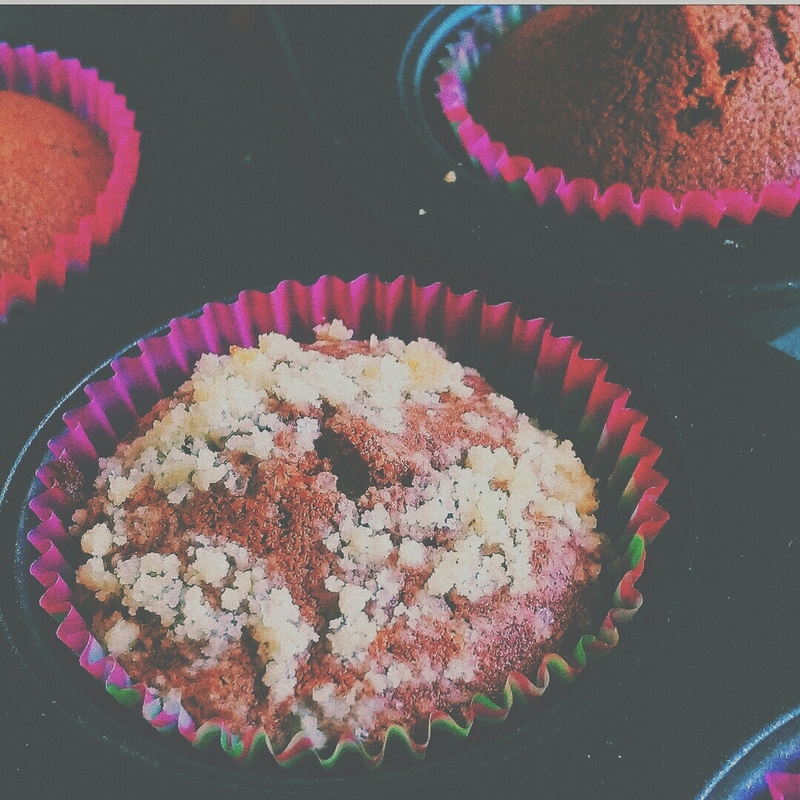 I had posted about crumble cupcakes somewhere last year if you go through my recipe archive. But this one definitely goes down as my current favorite. Cupcakes make me happy and double chocolate chip cupcakes make me more. I really do hope you give it a shot as well. The crumble is the big deal. 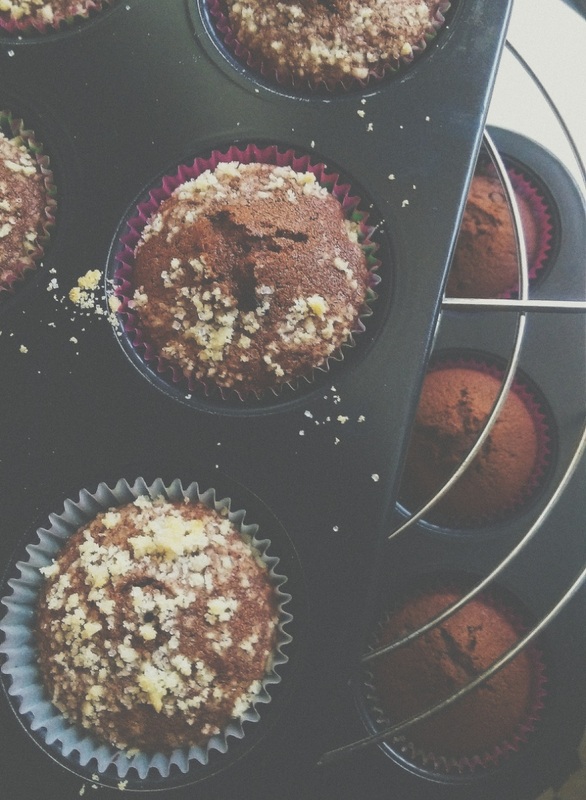 Here’s my recipe to double chocolate chip cupcakes with that crumble I told you about. 1. In a mixing bowl, add butter and powdered sugar. In case you don’t get your hand on powdered sugar you can use the normal white granulated sugar although it would take longer to mix with the butter. Using an electric beater, mix together butter and sugar until smooth and creamy. 2. Add eggs one by one and continue beating. 3. Add sifted all purpose flour, baking powder and cocoa powder. Use a spatula at this point and mix well until the ingredients are well combined. The mixture might appear dry and thick. To this add warm milk and chocolate chips. Mix well. 4. In a preheated oven at 180℃, line cupcake trays with cupcake cases. Pour batter into cupcake cases evenly. 5. To prepare crumble, in a small mixing bowl add all purpose flour. Using your fingers delicately rub butter into the flour until it resembles crumbs. Do it slowly so that the heat due to the rubbing doesn’t make the butter melt. Add granulated sugar (you can skip this if you are not fond of sweetness). 6. Sprinkle crumble mixture over cupcakes and bake for about 20-25 minutes.